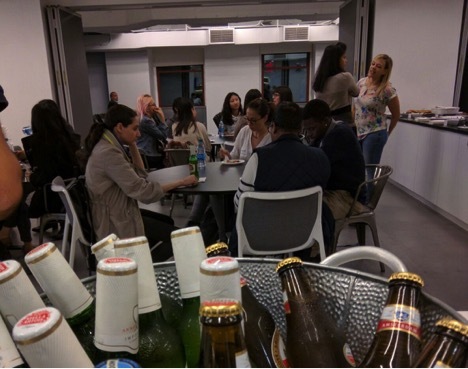 LinkedIn held a meetup to meet and mingle with local women in engineering on Wednesday, Nov. 2 in the Empire State Building. It was a unique event we organized with the goal of creating a friendly environment where women working at LinkedIn NY could have a chance to network and showcase what they are working on. It was also an opportunity to get the word out about LinkedIn’s engineering presence in New York. Finally, it was an empowering evening where we could share experiences, information, and social connections. 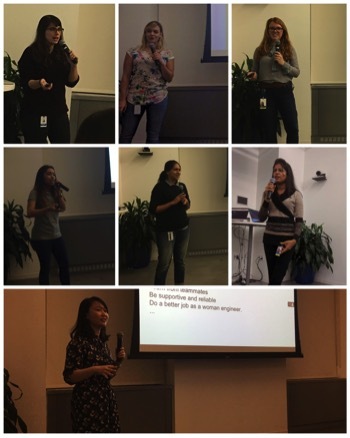 One of the highlights of the evening was the lightning talks given by women in the LinkedIn NY office on various topics. Our speakers included Veronica Ray, Lingbing Wang, Miranda Strand, me, Eleanor Hamm, Lauren Caponong, and Amita Sahasrabudhe. The event started off with an “Intro to LinkedIn,” by Nikolai Avteniev. He gave a short overview of all of the engineering teams at LinkedIn’s NY office. Below is an overview of the other talks that were presented that night. Refactoring at Scale: Veronica spoke about what happens when we apply new ideas to a large code base. She walked the audience through how a large refactoring was shipped to the LinkedIn iOS app. Life as a Woman Engineer @LinkedIn: Lingbing told us how she uses her time, what it means to be on a team where she is the only woman, and how she leverages help from teammates to get things done and do better job as a “woman” engineer. Thinking about Diversity in Tech as an Interviewer: Miranda, a new engineering hire who has started helping with interviews, explained about different types of bias that can creep in while interviewing. She gave tips about combatting bias as an interviewer. Helpful Tips for Project Estimation: Eleanor explained how establishing a common vocabulary is important in estimation; specifically, how each feature can be broken into Investigate, Execute, Test, and Ramp tasks. Infer Companies from Positions: I spoke about how we standardized a company record from unique names from members’ positions. I explained the importance of having a standardized company record on LinkedIn, and also took the audience through challenges faced and the flow from normalizing a company name to creating a company record for it. Learnings from Moving into Software Development: Lauren is the NY office’s first mobile engineering apprentice, and was formerly a designer at Forbes magazine. She is also an alumna of Coalition for Queens. She spread awareness about this program and the support she is receiving from her teammates to practice her craft, ship code, resolve merge conflicts, code reviews, etc. 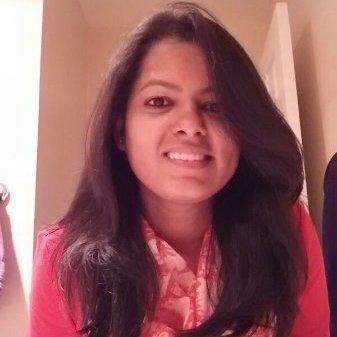 GHC Update: Amita got an opportunity to go to the Grace Hopper Celebration of Women in Computing conference this year, so she spoke about her experience, lessons learned, and how the audience could leverage this conference in the future. Overall, it was a successful event, with around 55 participants in total, including 35 women from other area tech companies as well as computer science students. The presentations were great and gave everyone a chance to showcase what they are working on. We got many questions at the end about opportunities at LinkedIn and also about the topics that we presented. In the future, we would like to host more events like this, inviting external speakers as well. Look out for a future invite from LinkedIn Engineering NYC!